Summer is rapidly coming to a close and that means that the end of our summer sports season is fast approaching. Golf has just one more event to go in the lead up to the State Tournament and softball transitions to the regional tournament season throughout August. Learn more about both programs. The Special Olympics Kentucky golf season (details here) includes a series of Regional Tournaments that lead to the State Golf Tournament in August. This year the State Tournament finds a new home, moving to Elizabethtown Country Club from the Lindsey Golf Course at Fort Knox. The season also includes a series of clinics in Murray, Louisville, Lexington and Florence to get golfers ready to play. The golf program offers participation levels for athletes of any ability, from beginners to regular golfers. Our skills competition helps golfers learn the basic strokes and tests them in putting, chipping and pitching, irons and woods. Our Unified division gives golfers who are ready to head out on the course, but maybe not complete nine holes on their own the chance to play alternate shot golf with a Unified partner. Finally, our individual stroke play competition is available for athletes who are ready to take on the course on their own. Golfers have to compete in at least one regional tournament to participate in the State Tournament. For more information about the SOKY golf program, contact Amanda Wade at 502-695-8222 or awade@soky.org. Last year, nearly 1,000 athletes on 71 teams statewide competed in a record-setting Special Olympics Kentucky softball season. This year those numbers are expected to grow once again. 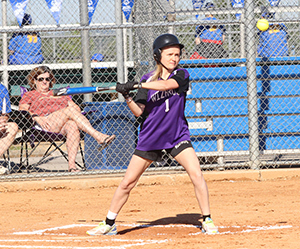 The softball season consists of leagues in Louisville and Lexington, a series of invitational tournaments around the state and three regional tournaments that qualify teams for the State Tournament in Bowling Green in September. Teams form almost immediately after Summer Games, so interested athletes should sign up now to avoid missing out. Teams exist in nearly every part of the state. This year’s three regional tournaments will be held in Paducah, Louisville and Georgetown. About half of the competing teams will advance to play in the State Tournament. Teams that do not qualify for the State Tournament can still take part in the State Tournament weekend by competing in the Team Skills Challenge that is held on the Saturday of the Tournament. For more information about the State Softball Tournament or our softball program, including sign-up information, contact Hunter Brislin at hbrislin@soky.org. Both can also be reached at 502-695-8222.